They didn't listen to Paul Simon! Last week Kodak announced it was ending the production of Kodachrome transparency (slide) film after 74 years. Remember all of those great National Geographic photos you loved - Kodachrome. I have hundreds of slides I took using this great film and my trusty Olympus OM2 which I got 32 years ago. 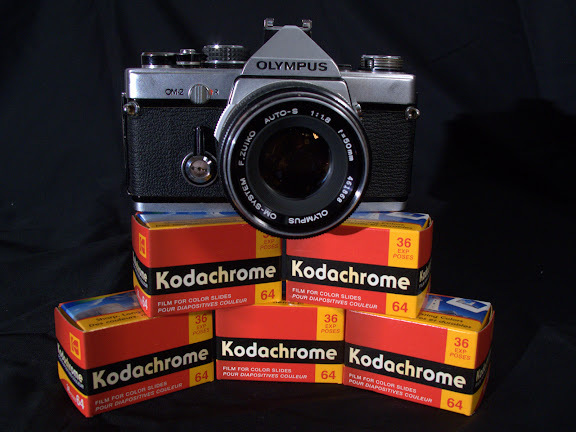 So I picked some of the last Kodachrome and will be shooting it with the OM2 over the next few months. I'm sure some photos will make it to the blog, although somewhat delayed since it takes about a month to send it away to only processor left. Canon G10, 1/60 sec @ f/4.0, ISO 200, macro mode with a three light setup, two strobes and a Litepanel Micro.